School Closure Reminder | St. Thomas' J.N.S. The school will be closed on Thursday 17th of May for teacher in-service training (New English and Irish Language Curriculum). 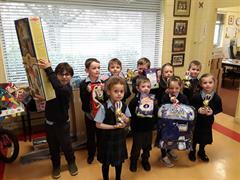 Congratulations to all the winners of our Easter Raffle. 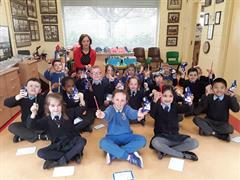 Well done to all our winners of this year's handwriting competition. Last week, the world came to our school. 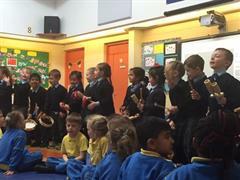 The children in school took part in lots of different activities learning about different countries and cultures.